Home › Fulham › Remember Me-at-Ball State? The Meatball. Ah, the Meatball. It just brings me right back to the kitchen in the big cabin by the lake, in Minnesota, where I spent many of summer nights noshing on the culmination of our family’s perfected recipe. The Meatball also refreshes childhood memories of Aunt Helen’s kitchen, and the way she shuffled about in those pink slippers. 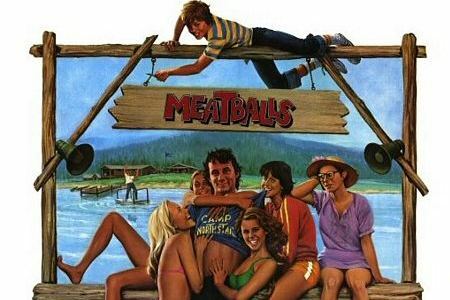 Meatballs also reminda me of a B movie from my childhood, but that is a different story. What is important is that the Meatball has landed in Fulham. Aside from the Meatball’s obvious and voluptuous culinary qualities, an indifferent observer must recognize that the golf-ball-of-delight has a cosmic significance of its own. It encompasses the perfect combination of ingredients that span the spectrum and that are always, in part, a secret. The final product is something that may slide between thinly sliced pieces of fresh baked filone, dominate a bowl of al dente pasta of any variety, or be used as a substitute currency in a family game of Monopoly . What spurred this affection towards the Meatball (aside from my life) you ask? My Uncle Duke sent me an uncensored list of ingredients, time tested amendments, and proclamations (you must use cold pressed extra virgin olive oil) for the Meatball. In essence, he gave me our family’s Meatball. I considered an apron, and went to work. Without too much fanfare, the Meatball arrived in Fulham only an hour later. Let me tell you the results, no thanks to me, were nothing short of glorious. In the end, the Meatball had crossed the pond but, not to my surprise, so did I. Truth be told, in life, each Meatball leaves no lasting memory; the satisfaction is lost with each successive fork load. But for me, the allure is not completely in the immediate, but temporary, assault on my taste buds, but rather in the trigger to my memory. With each bite of our Meatball, a conversation with my past takes place. I am reminded of those who made me the tasty treat when I was young and my heart is pinged by those now gone who I once fished a hot one out of the sauce pan with. With each bite of our beloved Meatball, I am reminded of what is and always will be important to me; even in its brevity I can still savor a lasting impression because in its cosmic whole is something so much bigger: my family. * Three Meatballs were consumed during the writing of this post. **Capitalization of Meatball is at the discretion of eD. Thanks guys!Sorry, Mark – I'm afraid my meatballs would go missing should I share the recipe! Thanks so much for reading/commenting! any chance of you posting up your meatball recipe? Teary, i love you bro. I think this post brought tears to my eyes 🙂 I'm a sap…and now i'm craving (our) meatballs! In fact the meatball crossed the pond for the second time. Our (yes, our) meatball recipe is the world's greatest.